When you go up to Montmartre, you can not miss this old house of the “village”. 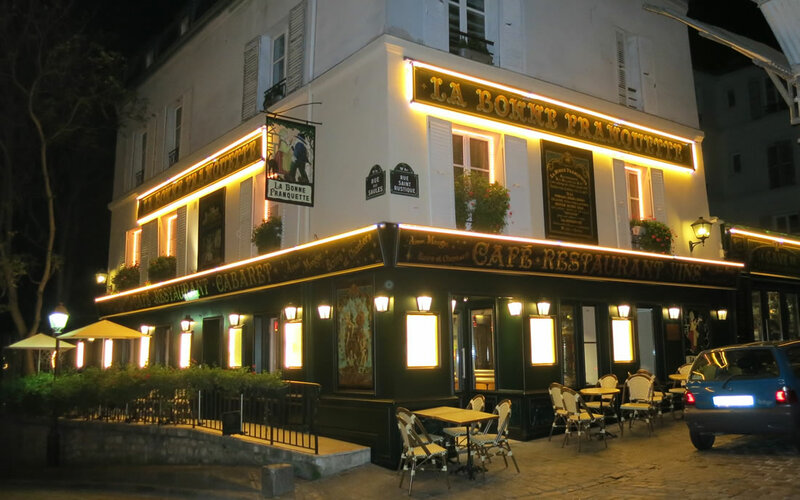 It is built on the corner of rue des Saules, which leads to the vineyard of Montmartre, rue Norvins, the oldest street of Montmartre, and rue Saint Rustique, the highest street of Paris. 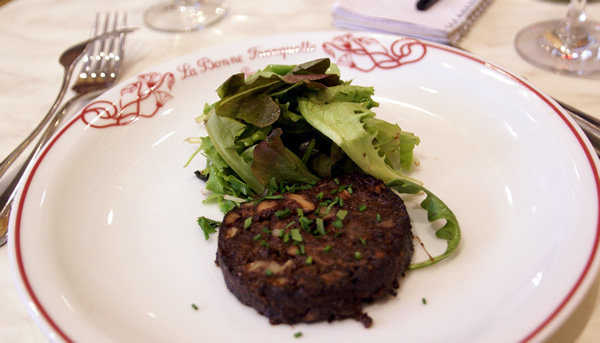 “A la bonne franquette” is a French expression which emphasizes the simplicity and the convenience of a meal at home. This expression corresponds perfectly to this old flagship restaurant of the “Butte Montmartre”. 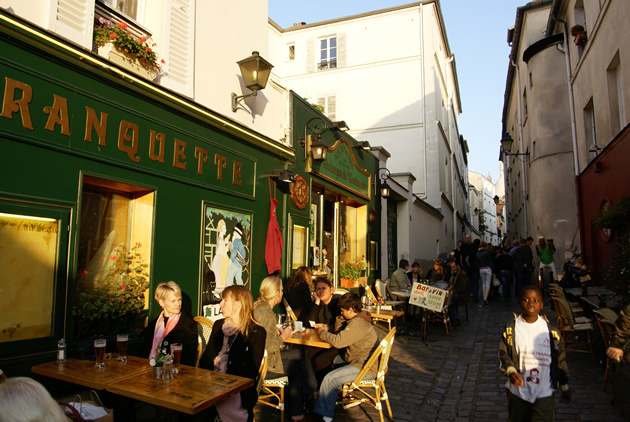 This famous house in the village of Montmartre is headed by a man, Patrick Fracheboud, who has as religion the genuine regional products. 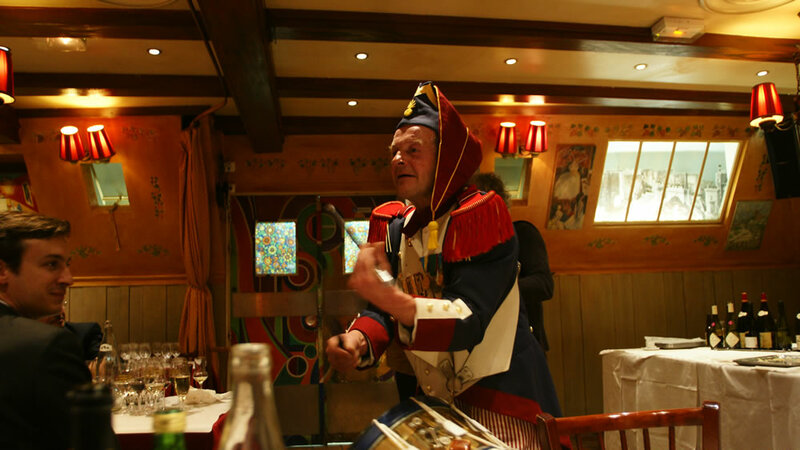 His restaurant is also a place where the membres Republic of Montmartre gathers for unforgettable banquets. Here, this is not a complicated cuisine. 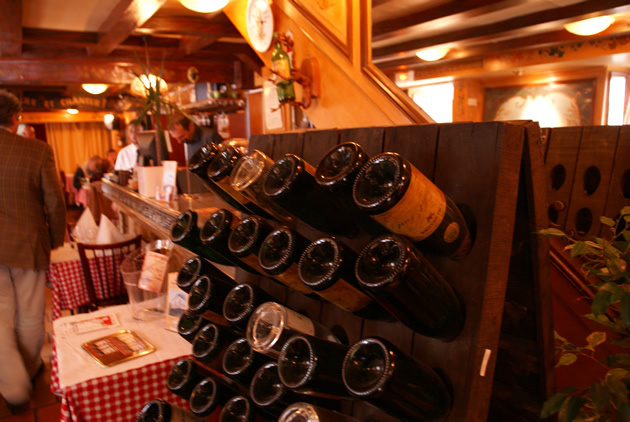 All the dishes are prepared with some of the best typical products of France. You will taste one of the best beef of France, the Charolais breed. The grilled steak is served with a green pepper sauce. As well you can discover some of successful bistro’s recipes like the “bœuf bourguignon” or savour a confit duck from the South West. There is also the famous basque black pudding prepared by Christian Parra, one of the most renowned chef of the Pays Basque. It is heavily flavoured with onions and Espelette piment. 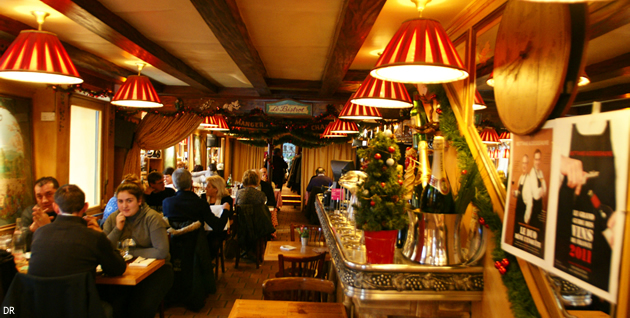 At least, for the adventurers of the french gastronomy, la Bonne Franquette reserves its Pig’s trotters with foie gras or its Normandy’s tripes. Bon appetit! For the pleasure of wine testing, in a corner of the restaurant, Patrick Fracheboud, boss of la Bonne Franquette who is fond of wines, has created a little bistro called “La Cave de la Bonne Franquette” Inside or sitting at the terrasse, you will enjoy a selection of French wines, produced by small independent winemakers discovered by the boss. Enough to wake up your taste buds!